On of the biggest complaints we had when we reviewed Triad Wars on a recent Free to Play Cast was a common complaint you can see on United Front Games’ forums or social media; the free to play game just felt like a single player game. Once you get above the rank of Blue Lantern, yes the game does open up and let you raid other real life players to steal from their rackets, but the asynchronous gameplay means you aren’t actually raiding directly against a player controlled character or defending yourself against one. United Front Games has heard this feedback loud and clear and has provided players with a bit of a peek at what is coming in the future of the free to play title. Matchmaking is on the list of additions to make in the short term. This means instead of AI opponents populating your map, after you achieve 49er rank, you’ll see real life players of similar skill and ranking. After that addition, United Front Games plans to give priority matchmaking to players on your friends list when online. Guess we have a while before we’ll actually be seeing our friends on our screens in Triad Wars, but at least it’s in the long term plan! idiots calling this P2W.. also there is RPG in it. its like Sleeping dogs, and Shooting is at sidelines at most. 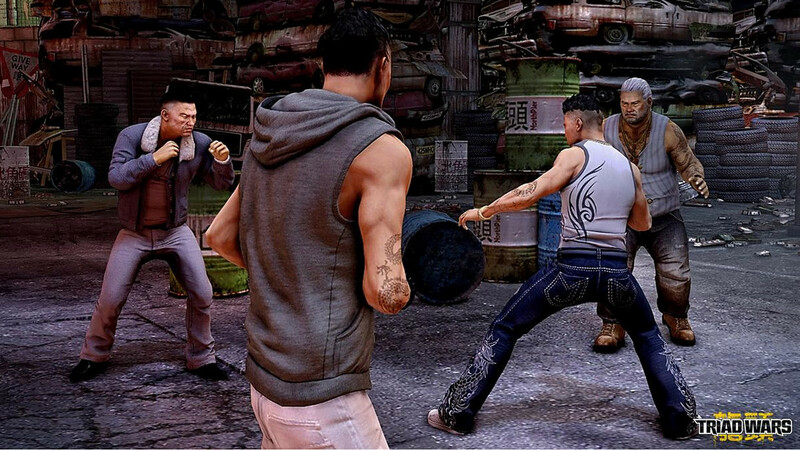 sleeping dogs is a martial Arts based game with guns as a added extra. u get Gold the cash shop type stuff from just doing qquests. nothing in game is a pay for advantage. u cant even speed up ur money productions. its a solid game. and fun i love the police chases, and chaos u can do. i have it installed but not played yet because i not saw any rpg elements in this game, not interested if there nothing more then brainless shooting over and over without anything else.